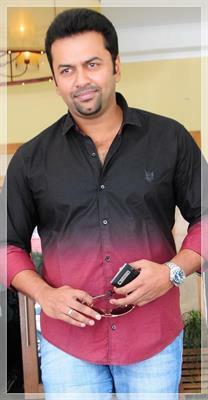 Kaanchi malayalam movie directed by Krishnakumar will feature Indrajith and Murali Gopi in lead. Scripted by B Jayamohan, the movie is themed on a village in Palakkad weaved with unique characters and a gun. Jeymohan who had worked with Tamil with directors Bala, Mani Ratnam and Vasanthabalan is working in malayalam for Kaanchi after Ozhimuri. The shooting of the movie will start in May 2013. With 3 movies standing in line for the release and 2 other currently under shooting, actor Indrajith has plenty of time to give his dates for directors. While T.K Rajeev Kumar's Up and Down Mukalil Oraalundu, Hariharan's Ezhamathe Varavu and Arun Kumar Aravind's Left Right Left are under pre production, Indrajith is shuttling from location to location. After becoming the favourite choice for M T Vasudevan with 'Ezhamathe Varavu', the actor would play a key role in B Jeyamohan's first commercial Malayalam script. Titled 'Kanchi' the movie will be directed by Krishnakumar who had already made his entry with College Days. Murali Gopy is doing a negative role which would truly thrill the audience as he has proved his mettle as an actor. The story of the movie is set on the backdrops of a village in Palakkad weaved with unique characters and a gun. The gun in the movie is closely related to the theme and carries the rest of the story forward. More interestingly, Jeyamohan was inspired an incident which later gave him thoughts for the thread. The script writer happened to step on a loose nail which fell from an old television installation in his house. Even though the nail was hammered several years ago, it might be decided earlier that Jeyamohan would step on it. As a scriptwriter Jeymohan had joined hands for three big projects in Tamil with directors Bala, Mani Ratnam and Vasanthabalan. Kaanchi would be his second venture as he has already done the scripting of Ozhimuri. Kaanchi will be a pure entertainer with all elements to thrill the audience. The movie starts rolling from May. Another script by Jeyamohan is on the way to be directed by Arun Kumar Aravind with Fahadh Fazil and Murali Gopi in lead. The shooting of the film is expected to start in July 2013. Indrajith is currently acting in Sunil Ibrahim's Arikil Oraal and Prasanth Murali's Paisa Paisa while Murali Gopi has completed Left Right Left and doing Kanayaka Talkies.